We really enjoy Asian food and the wonderful flavors they can coax out of a dish. The flavors are light and bright yet balanced. Everything is in perfect harmony with each bite you take. This is an Asian inspired dish with wonderfully vibrant flavors we hope you enjoy. Life has been getting in the way of late which has kept me from posting. I wish I could simply write in a steady stream of consciousness that would be intriguing and fun to read. I simply cannot. I’m always having to stop and think about what I want to say in a post, figure out which of the myriad of photos to insert, make sure I have included all of the ingredients and then placed them in the instructions. I read the work-in-progress posts to the Baby Lady and get her input. Lastly, I try to catch all the typos my little uncoordinated fingers make that WordPress’ spellchecker catches and inserts appropriately spelled words that then causes the post make no sense. Inevitably, I fail in each of these categories only to find them later, sometimes months later. 😮 Nonetheless, we try to have interesting posts for our blog readers to enjoy. When life gets in the way due to work schedules, children, parents, etc., it diminishes the time we have to work on the blog. As a result, days go by without any new posts, like this past week. 😦 Rest assured, however, we are always cooking something and taking photos of what we cook. This recipe was a recent dinner I have been trying to post for a while now but have had other, more pressing matters with which to attend. While it may be sacrilege to have more pressing matters than the blog, it is sadly true and we hope you forgive us. This dish came about because I spent the bulk of the day doing a variety of prep work for a couple of Thomas Keller dishes I wanted to try (future posts, I promise), one of which is in the background. When it was time for dinner we needed something quick, easy and tasty. This was the solution. From start to finish (including prep) it takes roughly 30 minutes and the bulk of that time is cooking the coconut rice. 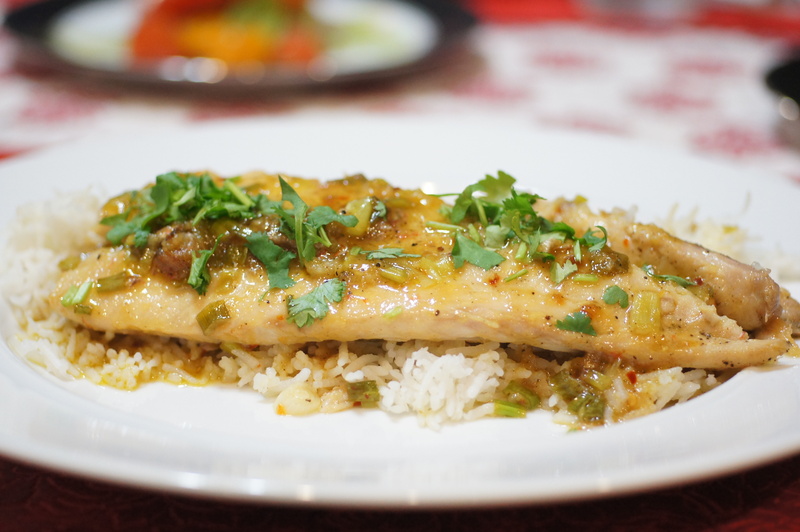 The flavors of this dish are simply wonderful and the Asian inspired sauce goes perfectly with the coconut rice. So, if you’re pressed for time and want a wonderfully vibrant, quick and easy meal, give this a try. 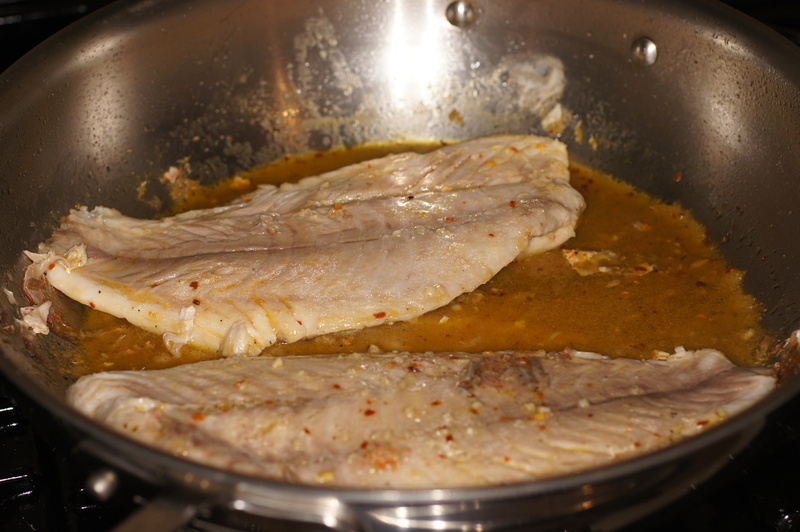 In a medium size bowl, mix the olive oil, lemon juice, Champagne vinegar (substitute rice wine vinegar), Dijon mustard, orange blossom honey, ginger, fish sauce and crushed red pepper flakes. 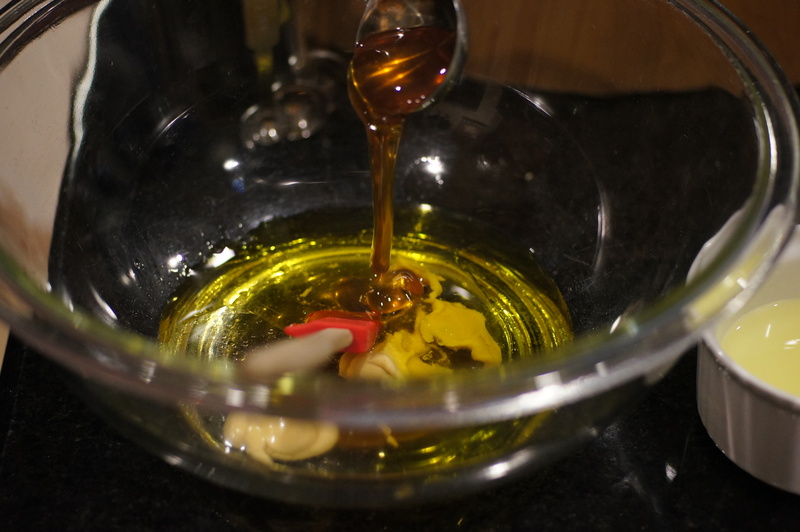 Add 2 Tbsp olive oil to a heavy bottom skillet. 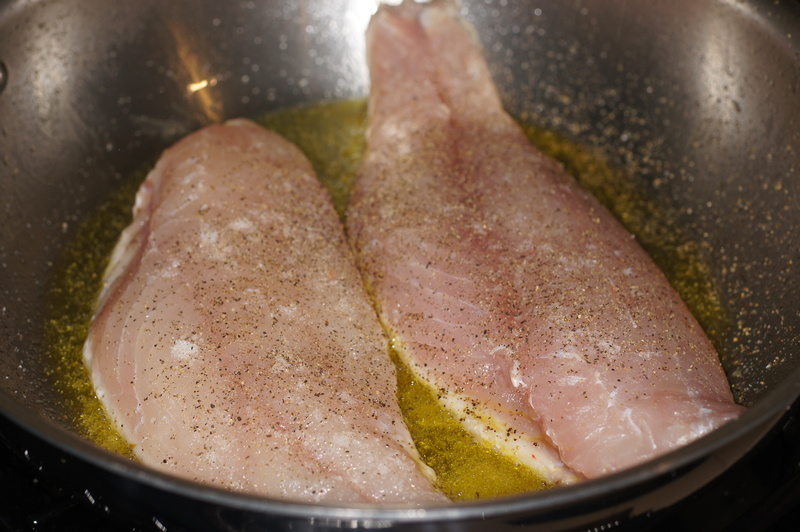 Season red snapper filets with salt and pepper and place them in skillet. Cook over medium high heat for 2 minutes and turn. 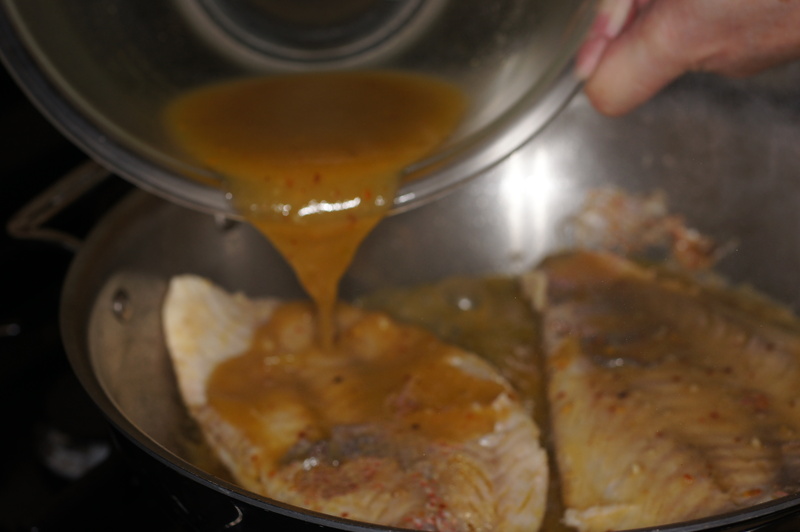 Cook for an additional 2 minutes and pour mixture over top. Add green onions, cover and cook an additional 2 minutes until done. To serve, place a line of coconut rice in the middle of a plate. Place filet on top of rice and spoon some of the sauce on top. Sprinkle with chopped cilantro to finish. Serve with a side salad & enjoy. We are all busy bloggers.. so the posting of a flavorful recipe like this is greatly appreciated! I hope your life slows down a bit and gives you the time you need:) Have a great rest of the week! Thank you for your very nice compliment and encouragement. You are always very sweet. Firstly, it looks gorgeous and vibrant and healthy, just as promised! 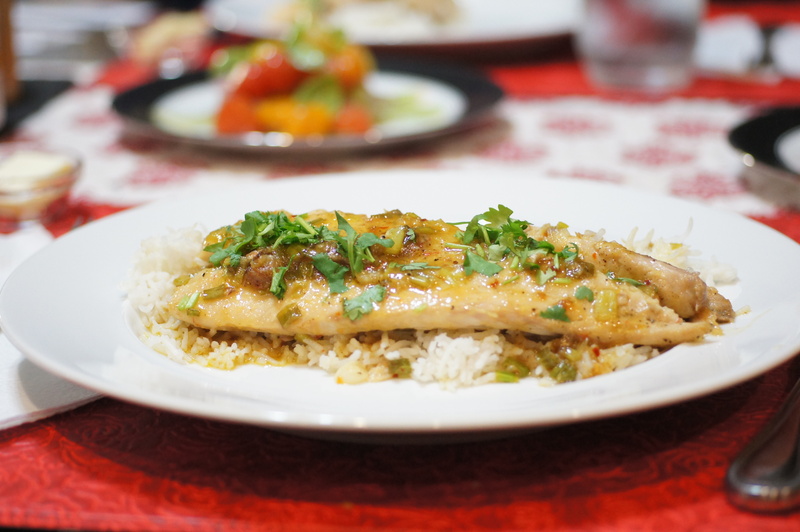 I’m a fan of Snapper that ruby jewelled fish from the sea and especially of these Asian flavours. Just made this for dinner tonight! it is delicious, simple and quick! Thanks. 🙂 We’re glad you liked it!